Many different names can be given to a bandanna; dew rag, handkerchief, pocket square, hair band and I think the list can go on. 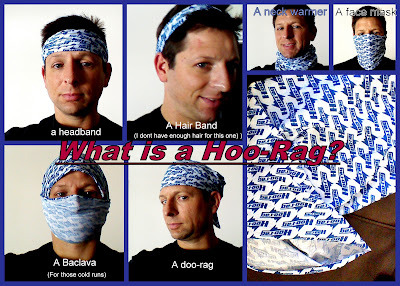 Well, one company made a spin on the bandanna and they call it the Hoo-rag and I have to say I kind of enjoy it. The HooRag is made out of a soft tech like material that can take on many different uses and for athletes, especially endurance athletes, it has a lot of potential. Not to mention it comes in a number of different colors and designs which you can also customize. You are absolutely right. It would help in those disgusting things wouldn’t they? Thanks!